Wood, stucco, Plexiglas with etched text and carved text on salt block. House 8'x4.5'x5.5'. 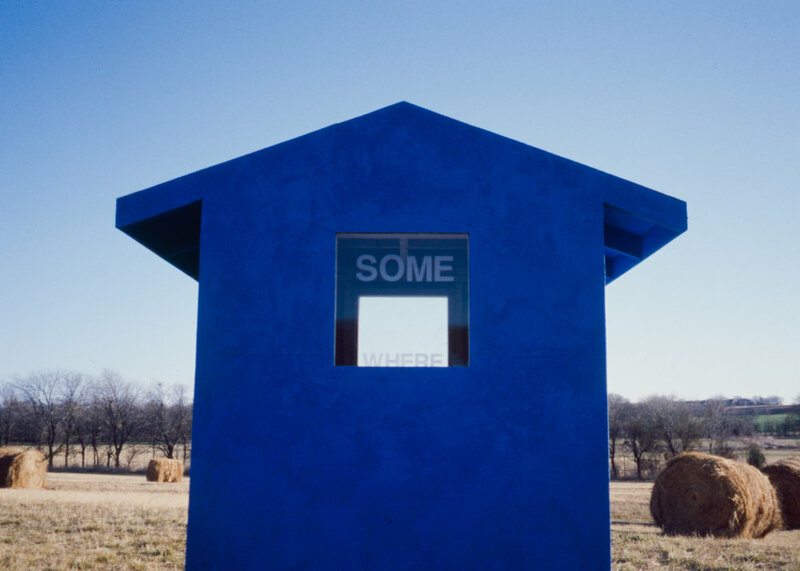 The sky blue house is an isolated figure in the landscape from which we view the place beyond, focusing our attention on the view through the window out of the domestic realm into the world.